Looking for a morning jump-start? This bold, dark tea will get things going! 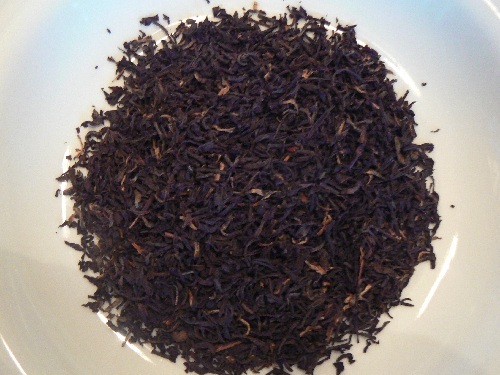 Assam teas are famous for their wake-upability, with about 70mg of caffeine per 6-oz. cup (about a third of the caffeine in a cup of coffee). Ours has lots of golden tips with malty, spicy, and strong character. Stands up well to milk and sugar. A wonderful breakfast tea.